Wash the cucumbers well. 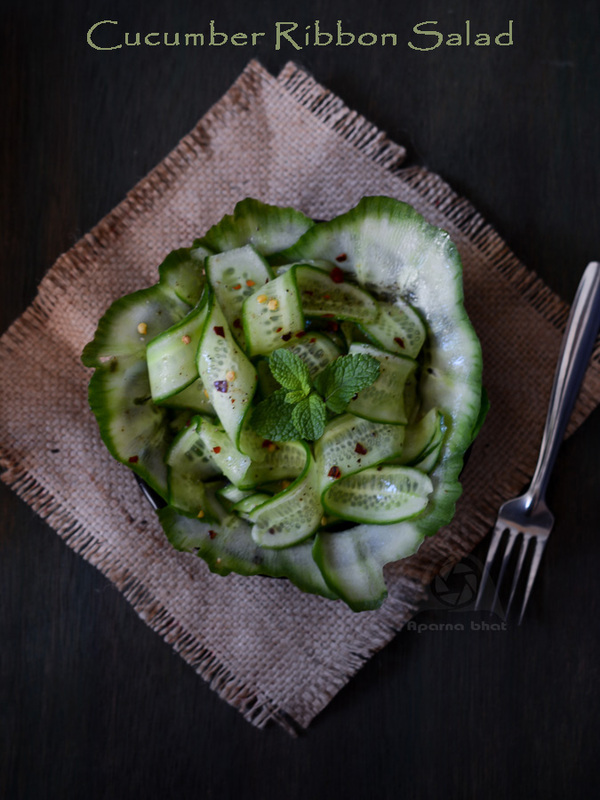 Using a mandoline or vegetable peeler, slice the cucumber lengthwise into ribbons. Place these ribbons in a wide bowl. In another bowl prepare the dressing by mixing sesame oil, lemon juice, red chilli flakes, garlic powder, freshly ground black pepper, salt and sugar. Let the salt and sugar get dissolved. 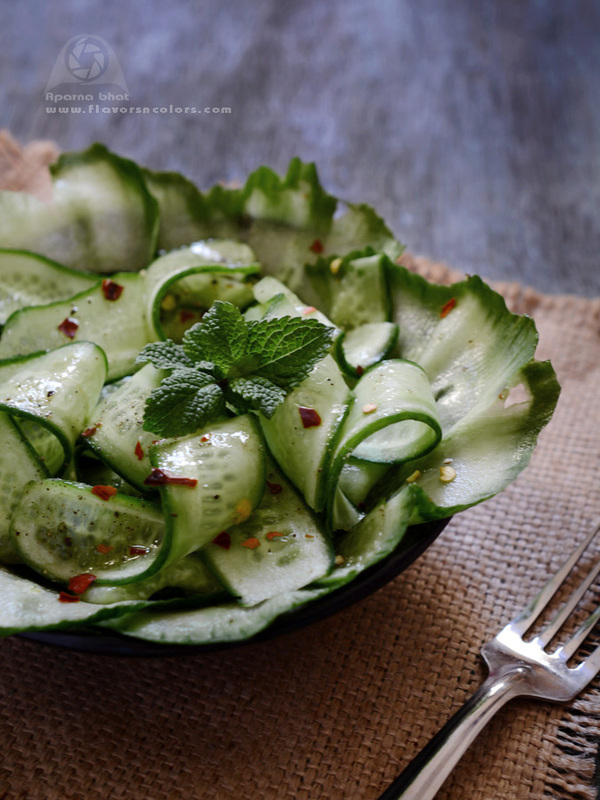 Gradually pour this dressing over the cucumber ribbons and toss well. Cover and chill it until ready to serve. 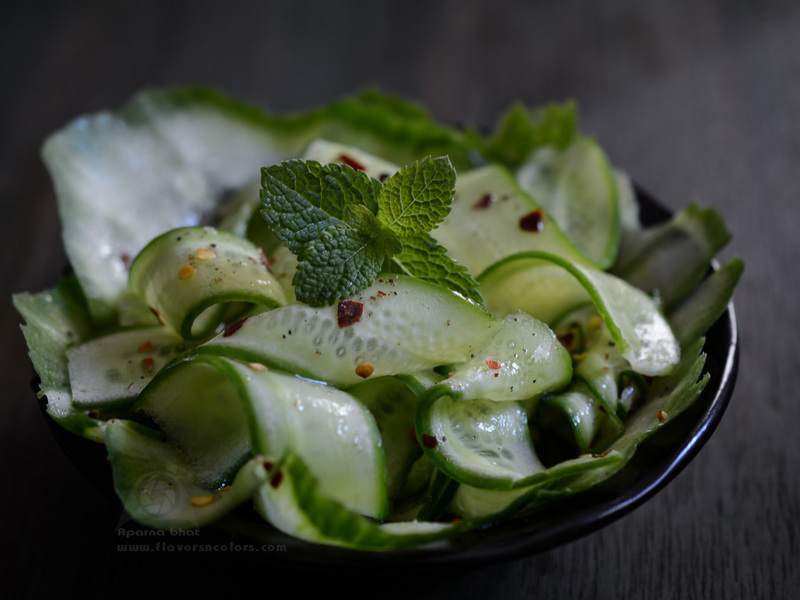 Sprinkle the toasted sesame seeds and freshly chopped mint leaves before you serve. Looks awesome. I like cucumbers cut like this.